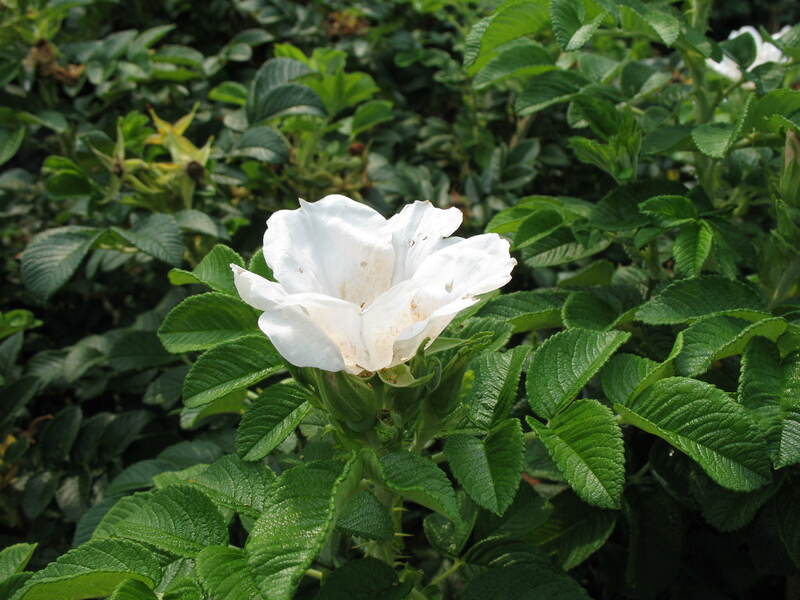 Comments: This rugosa rose produces large 4" single to loosely double white flowers that are highly fragrant. It is extremely cold hardy and deer do not eat the foliage of this rose. It was introduced to this country in 1892. This rose is highly tolerant of rose pests.